BRUSSELS (Sputnik), Luc Rivet - The United Kingdom, which has recently faced an impasse in Brexit talks with Brussels, has unexpectedly been emboldened by a message from Japan that has signaled its continued interest in trade ties with London. However, experts doubt that Asian partners could immediately compensate the nation for the opportunities provided by the EU membership. The debate was rekindled by Japanese Prime Minister Shinzo Abe’s interview with the Financial Times newspaper, during which he pledged to welcome the post-Brexit United Kingdom to the revised Trans-Pacific Partnership (TPP) trade deal "with open arms." Having conceded that the nation would lose its role as a gateway to Europe after withdrawal from the bloc, he stressed that the kingdom would still remain a country of "global strength." The trade pact in question is a revised version of the TPP, now known as the Comprehensive and Progressive Agreement for Trans-Pacific Partnership (CPTPP), which was signed by 11 countries of Asia and the Pacific in May 2017 after US President Donald Trump disengaged the United States from the negotiations. 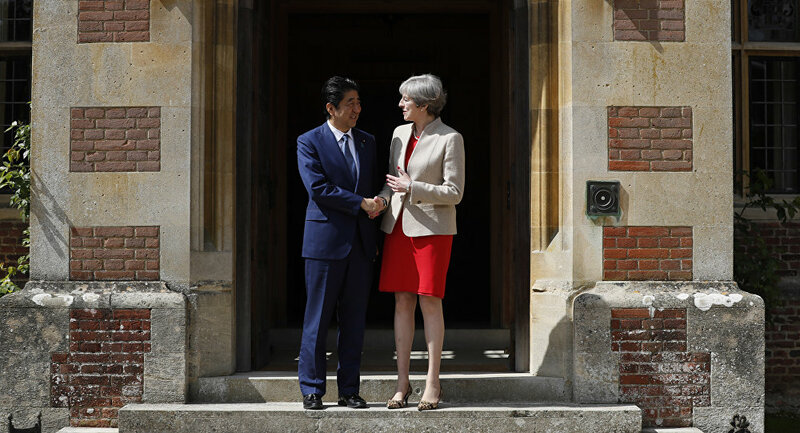 Since UK Prime Minister Theresa May does not see many smiles on UK partners’ faces for the moment, Abe’s warm welcome seems to be a relief for London. Japan started massively investing in the United Kingdom at the end of the last century, in many different sectors — from the chemical industry to the automakers that established several assembly plants in the country — to serve the European market and avoid the import tax imposed by the bloc on cars manufactured in Asia at the time. Etienne de Callatay, a Luxembourg-based economist, however warned against the delusion that Tokyo would not relocate its businesses from the United Kingdom to the continent once the latter stopped being part of the European Union. "British and European businesses know that Brexit will probably mean that the UK will lose its position of ‘Japanese economic carrier’ sailing close to the European markets, serviceable by trucks, circulating through the Channel. In case of a hard Brexit, without any deal, Japanese carmakers would move their factories from the UK to the continent and globally rethink their presence on the British Isles. 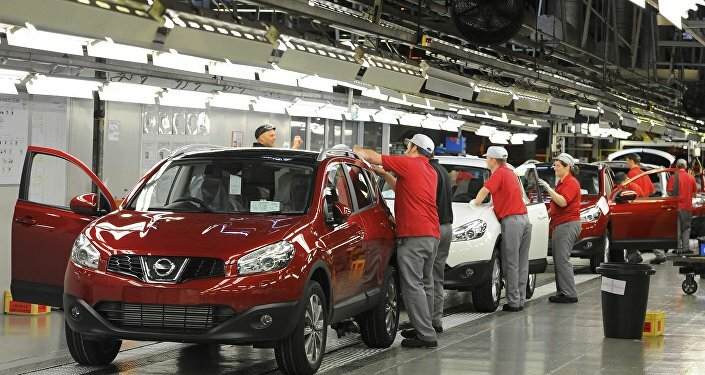 Toyota and Nissan alone, employ some 10,000 British workers in their assembly plants in the UK," de Callatay told Sputnik. The expert noted that Abe effectively reiterated the belief shared by some Brexiteers that "UK world market traditions, inherited by centuries of trading with their colonies, still loosely regrouped in the Commonwealth, could open new horizons for UK industry and trade," but warned against too high expectations. "But British politicians should not daydream: the intra-Commonwealth trade is minuscule. 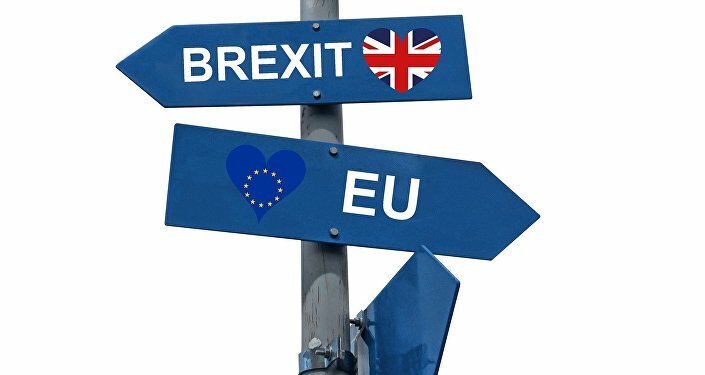 The Commonwealth offers post-Brexit Britain very little immediately in terms of opportunities for trade and future prosperity," the economist stressed. De Callatay recalled that, while former UK Foreign Secretary Boris Johnson has touted the Commonwealth’s global GDP, including the giant India, as "stunning," "the UK sells more to Belgium than it sells to India," while Australia only represents 1 percent of the UK external trade. "The European Union is [therefore] so much more important to the UK than the far-out former colonies of the Pacific: Australia, New Zealand, Singapore or India, without forgetting Canada," he concluded. Will UK Be Still Attractive When EU Passporting Rights Lost? IT specialist Peter Shearer, a consultant in London, in contrast believes that the service-developed UK economy is ideally positioned to benefit from ties with the new trade area. "Digital information flows now at incredible speed and has an incredible impact on the economy. They are even more important for GDP growth that the good old trading in goods and other traditional services. The service-developed UK is ideally positioned to benefit – including because of the language – from the TPP agreement," Shearer told Sputnik. According to Shearer, the United Kingdom "would perfectly fit the Commonwealth’s dispersed networks on the Pacific Rim, even if it concentrated for the moment on a few countries, that have become digital hubs." 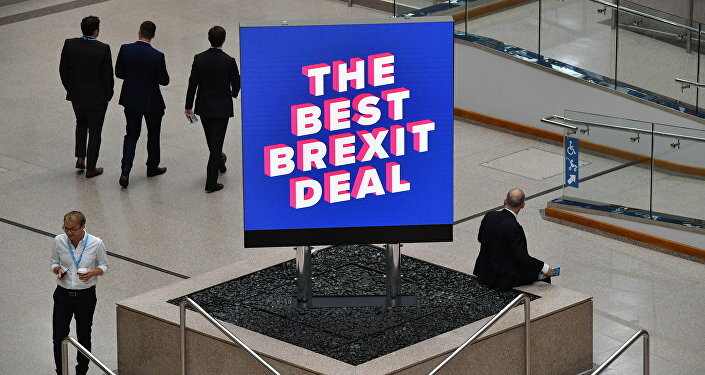 But not everything seems rosy for the post-Brexit, according to Philippe Ledent, a bank analyst at ING Belgium, who warns about the possible exodus of foreign companies, including those of Japan, from the country as soon as they lose their EU passporting rights. "The largest Japanese banks, present in the London city have already announced plans to scale down their presence in the UK. They certainly don’t want to lose their ‘EU passport,’ which makes it possible for financial organisations based in London to operate on Europe’s financial markets," Ledent told Sputnik. He also noted that Japan had "discreetly asked" London to negotiate a deal with Brussels that "would enable the free circulation of global executives between the United Kingdom and the rest of Europe." "When you speak to JETRO [Japanese Export Trade Organisation] in Europe, they say mezzo voce [half voice] that if Brexit puts profit at risk, there is not one Japanese company that will remain in the United Kingdom. They will all move to the continent," the expert pointed out. So, is the United Kingdom still welcome in the pact bringing together Australia, Brunei, Canada, Chile, Japan, Malaysia, Mexico, New Zealand, Peru, Singapore and Vietnam? Of course, Abe as well as the other leaders of the region would say, but it risks being more a symbolic presence of a former world power than real economic activity. The countries of the CPTPP accounted for less than 8 percent of UK exports in 2017, according to a research by the Massachusetts Institute of Technology. Meanwhile, anxiety is at a maximum for the moment among UK businesses and every sign of hope is eagerly looked at. To avoid any confusion, the CPTPP, diminished by the US withdrawal, is not the Transatlantic Trade and Investment Partnership (TTIP), which was meant to cut tariffs and regulatory barriers to trade between the United States and EU nations but has similarly been put on the backburner since the arrival of Trump at the White House. So, it is important to know that the United Kingdom could join the CPTPP one day but the Brussels negotiations currently seem to be more essential to the country’s future.